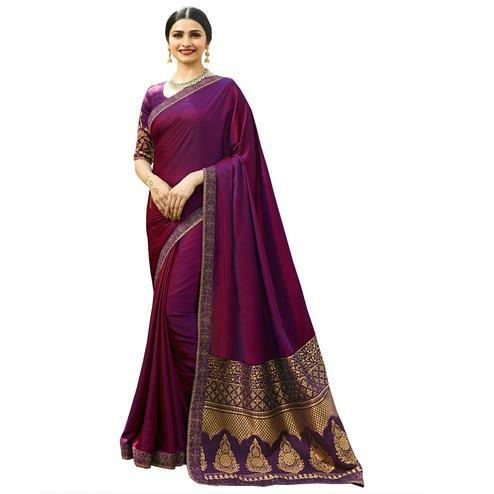 Genuine magnificence will come out through the dressing style with this majesty magenta colored silk saree. The weaving work looks chic and aspiration for any function. 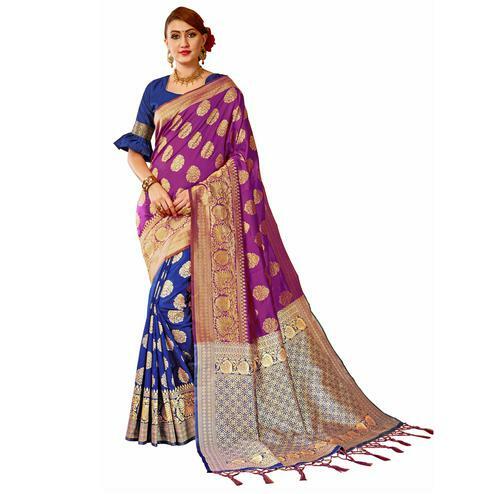 This saree has been highlighted with colorful woven work all over the saree. This saree is teamed with matching fabric blouse piece in un-stitched type,that can be stitched as per your requirements. Women can wear this saree for homely events, parties, functions, social meets, special occasions and weddings. Also ideal for gifting purpose. Pair it with traditionally stylish accessories to complete the look. Buy this lovely color saree now. Buy this lovely color saree now.